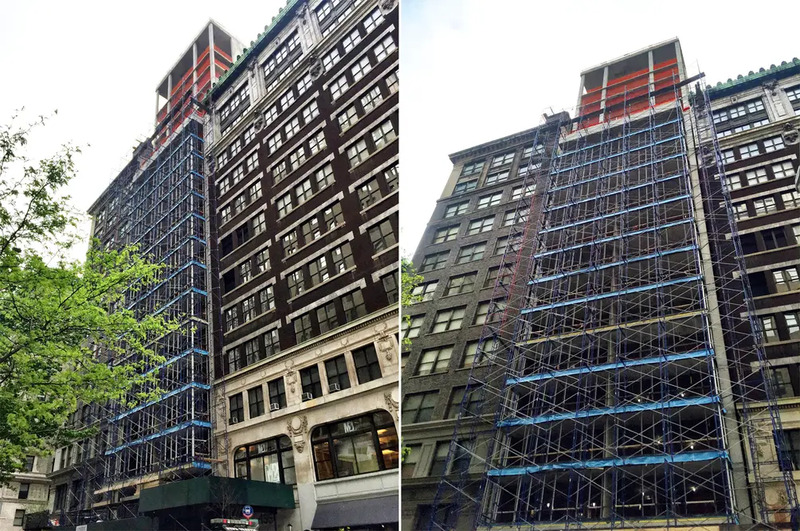 The planned 21-story, 71-unit rental building at 145 Madison Avenue in Murray Hill has now topped off construction, according to recent construction photos taken by CityRealty. 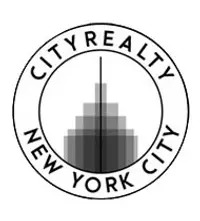 Developer Kahen Properties picked up the lot, located between East 31st and East 32nd Streets, back in 2013 for $12.25 million. 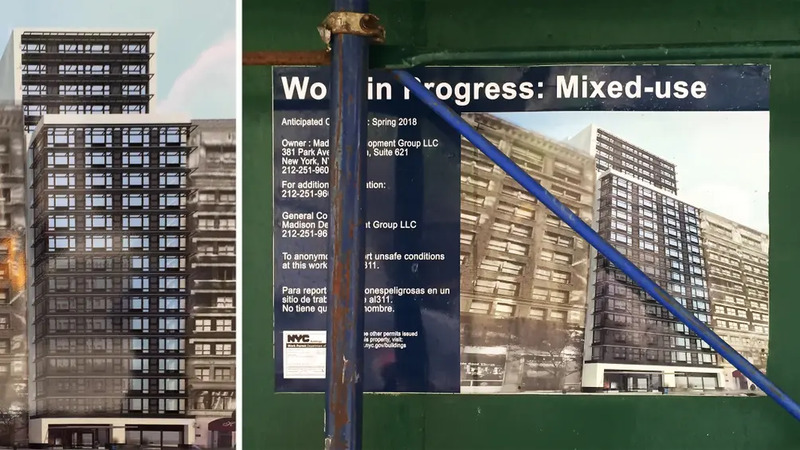 Stephen B. Jacobs Group are behind the design, the same architects behind The Edge II, the upcoming 40-story rental structure in Williamsburg. A rendering for 145 Madison first surfaced via YIMBY this past November when foundation work first began. Permits show the project will have 2,779 square feet of commercial space on the ground floor and 56,306 square feet of residential space on floors 2-21, meaning each unit will average 793 square feet. Building amenities include tenant storage, a laundry room, and a bike room in the cellar, a lobby and mail room on the first floor, and a common roof deck. Construction signs posted at the site show completion is expected in Spring 2018. 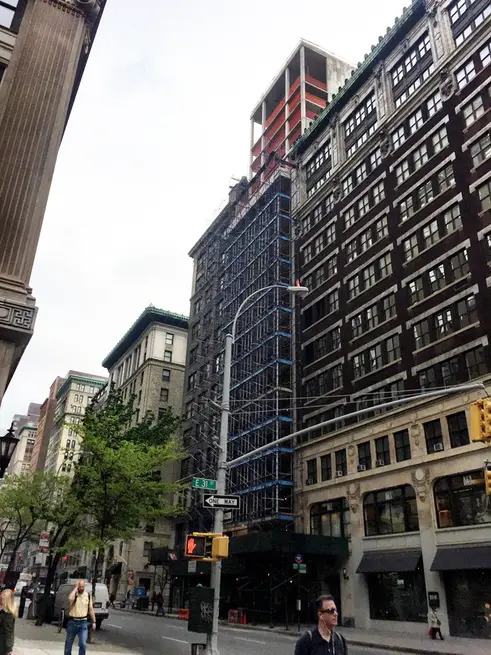 There are quite a few other residential projects planned for the neighborhood, one of which is 7-9 East 30th Street, a 54-unit rental whose permits were just filed this week. 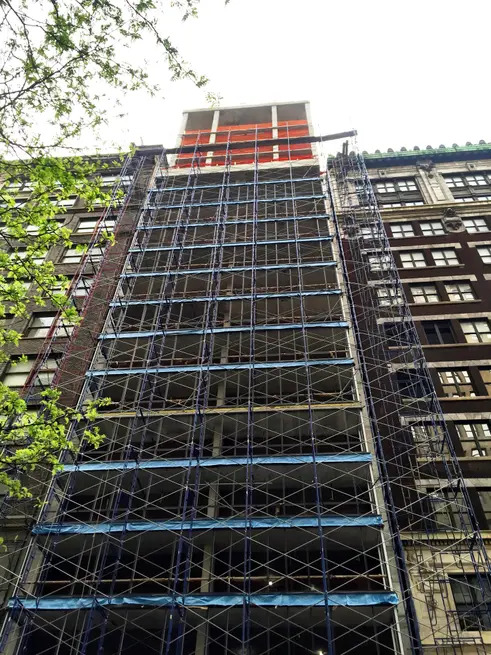 Foundation work has also started at the 47-story condominium 15 East 30th Street and the Morris Adjmi-designed luxury condo at 30 East 31st Street.